Eugene Nicholas Kiniski dies of cancer in a long-term care facility, after a prolonged battle with cancer. He was 81. 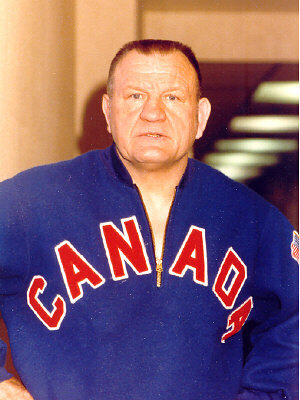 Born November 23, 1928 in Edmonton, Alberta, Gene would go on to be known by the moniker, ‘Canada’s Greatest Athlete‘. He began as a football player for the University of Arizona, before moving on to professional wrestling. He would go on to become the only man to hold both the NWA and AWA World Heavyweight titles, in a storied career that spanned from 1952-1992. In 2010, Kiniski was hospitalized with congestive heart failure, due to complications from cancer. At the time of his passing on April 4th, 2010 and was survived by his sons Nick and Kelly, sister Dorothy, and daughter-in-law Joyce.